So I have to be honest and say that I got impatient. I was so unhappy with my long transitioning hair, I started the CG method last April so it's been 5 almost 6 months now. It's been really hard for me to find the right products and methods that works for me. 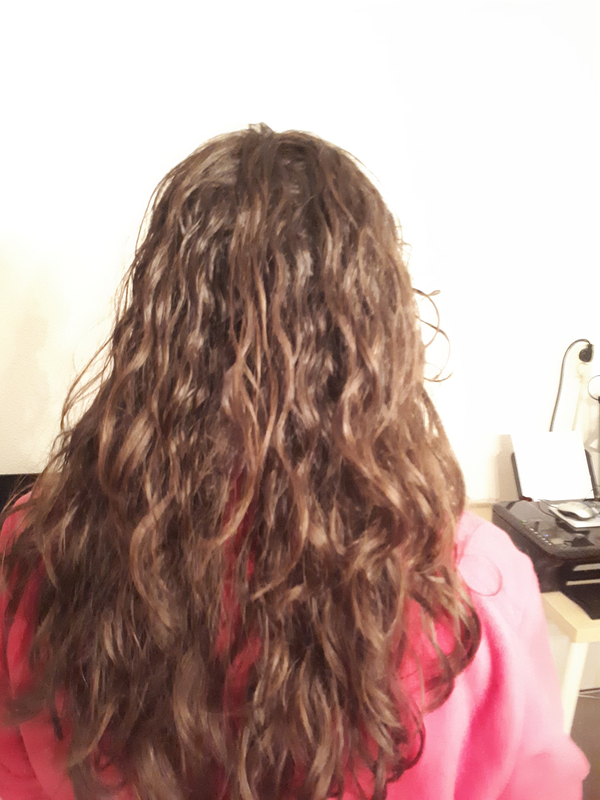 I think that I am supposed to have a 3a curly pattern (originally) but after 17 years of straightening my hair every week using heat tools, my hair is wavy/straight. 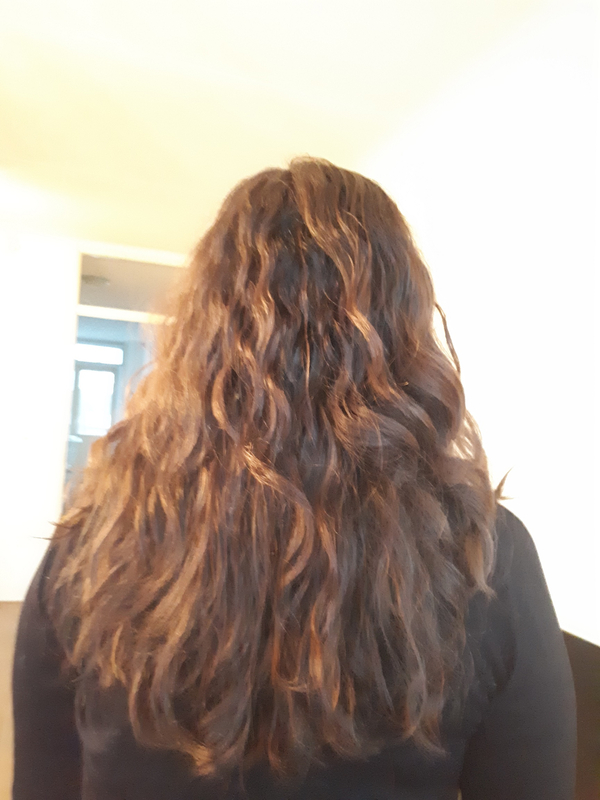 When I started the CG method, first thing I did was find myself a hairdresser who was specialized in curly hair (I live in Europe we don't have Devachan salons and Deva cuts) but there are hairdressers specialized in curly hair, and they do cut the hair while it's dry (so I suppose the method is the same). 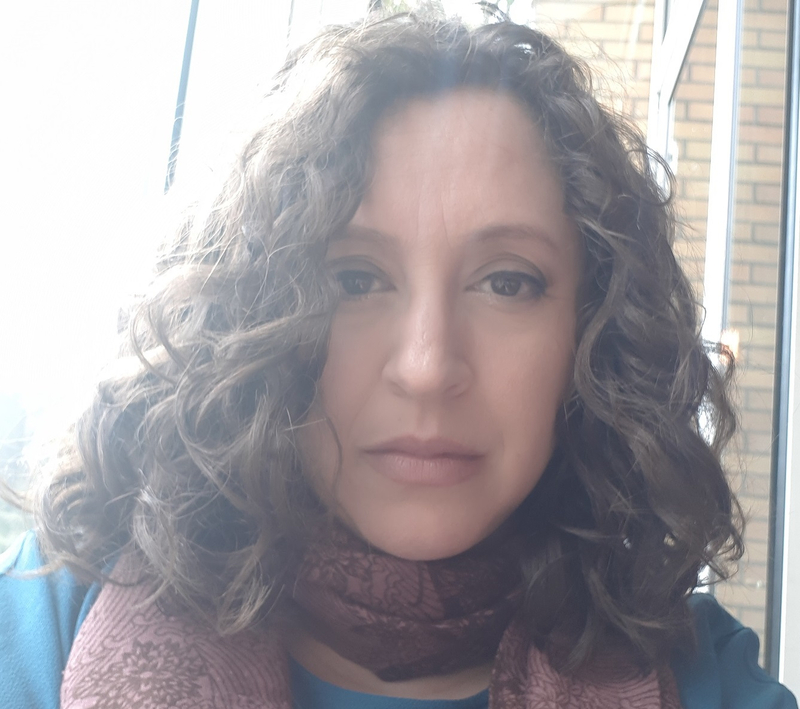 However he seemed scared of cutting off too much of my hair, even though I asked him I wanted it shorter, he kept asking me over and over again if I was sure. He made me insecure and I wasn't very happy because afterwards I wish I had cut it shorter, my hair was pretty long. 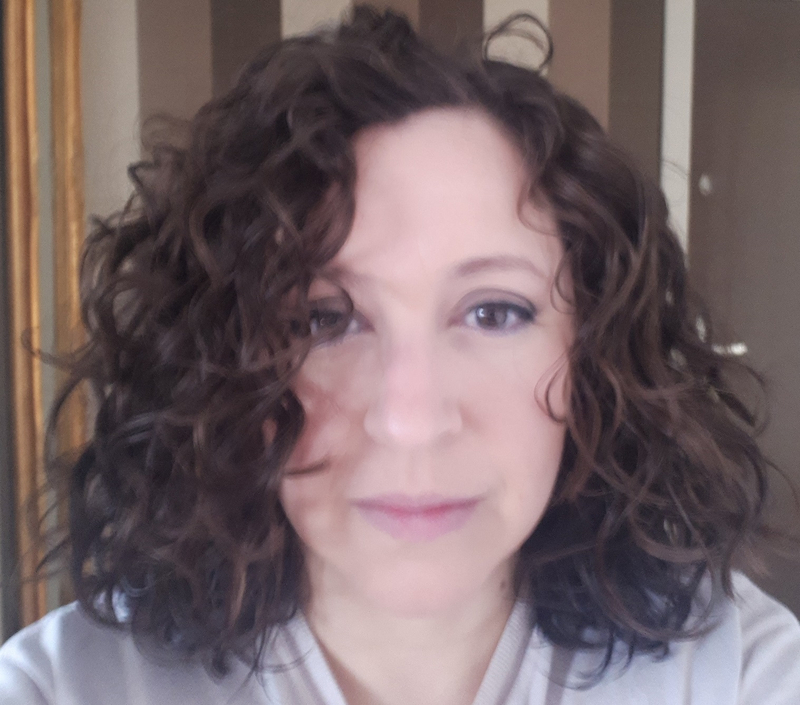 So finally I decided to go to the hair salon again, but this time another one (closer to where I live) that is also specialized in curly hair. I was determined to big chop, well sort of, I realize that one could go a lot shorter to really call it a big chop. But for me this is quite a difference, because I had really long hair, and now it's to my shoulders, so I feel like a lot came off. Let me add some pictures that show my hair before and after. 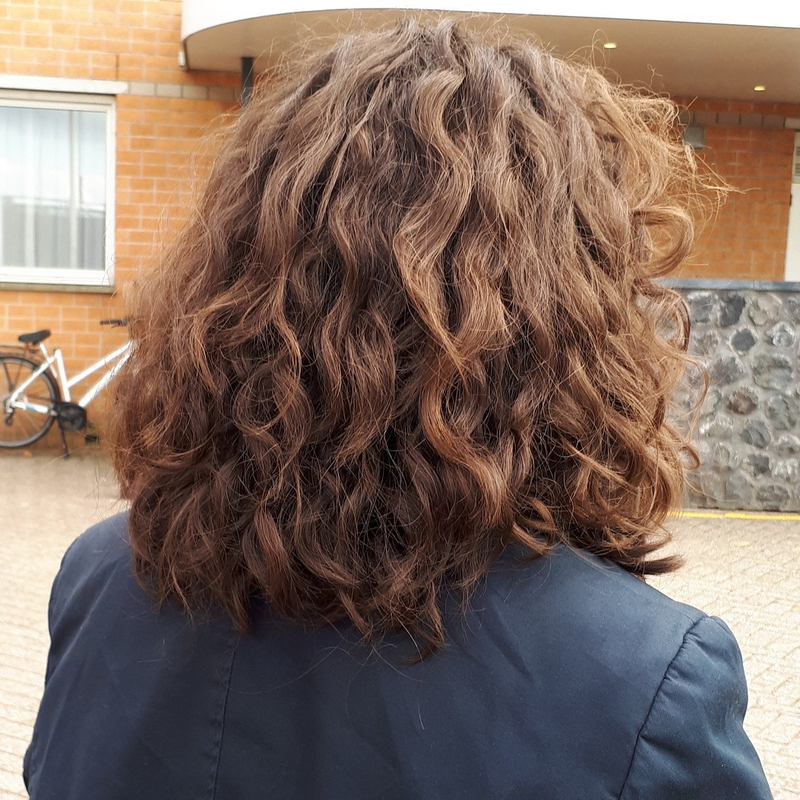 This is April 2018, I just started transitioning and the CG method, and had not cut my hair yet. 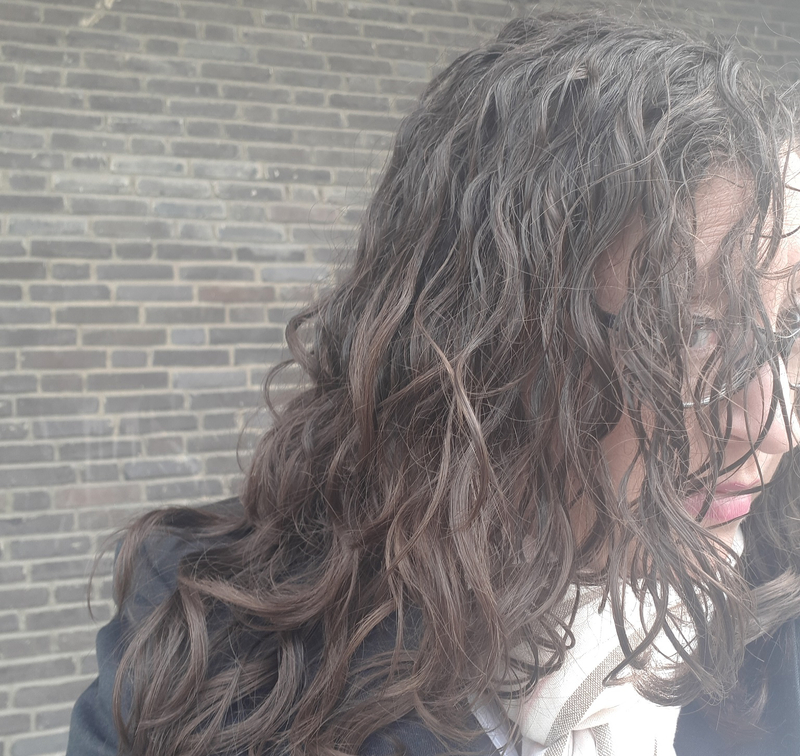 This is September 2018, as you can see my ends are straight and don't seem to want to curl. This is also from last summer and before I got a haircut for the second time. After my new haircut. One week ago. 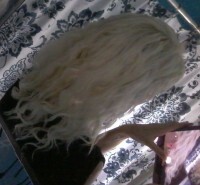 My front for some reason seems to curl better that the my hair in the back. I am so happy that I did this! It feels so much more lighter, less work for me, and I feel like I've got more volume to it. Actually the hair stylist (or hair dresser?) 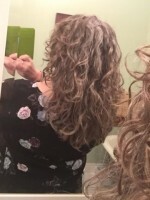 said that my hair is very thick, or at least I seem to have a lot of it, plus the length, and that made my hair weigh down, therefore less volume and more straight. Further I do have to add that I only got this result on these pictures by diffusing my hair, I mean volume wise. For the most I do actually airdry, simply because I don't have the time to diffuse, I'm always in a hurry. But last Sunday I did a deep conditioning treatment and diffused and I noticed that I got a lot more volume when I did this. Even more volume than I had the day I came home from the hair salon. Love that haircut! It looks so good on you, and I also noticed how much more volume and texture you have! Thank you all so much for the compliments. I am very glad that I did take the step and cut my hair. 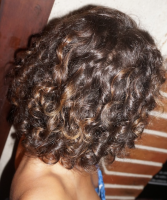 However, although I am able to achieve really nice curls on wash day (once a week I deep condition) after diffusing. After sleeping (my hair is too short to put up in a pinapple right now, but I do have a silk pillow case) day 2 my curls are gone and my hair is more wavy/straight. Day 3 and 4 you can forget about it. I don't make it that far. By then I put up my hair in a pony-tail. I realize this may be as a result of transitioning, maybe this is normal? Does anyone have any tips? Love the cut! My curls are curlier in different areas, too. Do you plan on growing it out again? 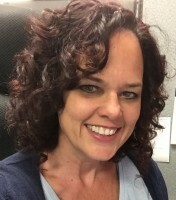 I had long damaged curls that had permanent straightened ends when I started too. Chopping that all off was the best thing I could have done! Instead of pinappling at night, you could try Medusa Clipping (search google for it), or wear a buff over your head, or tie a scarf around your head. I love it ! ! Ok, cool. I'll have a look.